New Year and Christmas celebrations are coming, which will be fun but we'll miss a few classes. Note the schedule below and RSVP in person or by email. Also, please congratulate Nicole when you see her. Cheers! 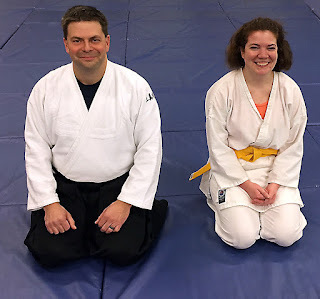 Nicole Edwards now 6th Kyu! Congratulations to Nicole for passing her 6th Kyu test!